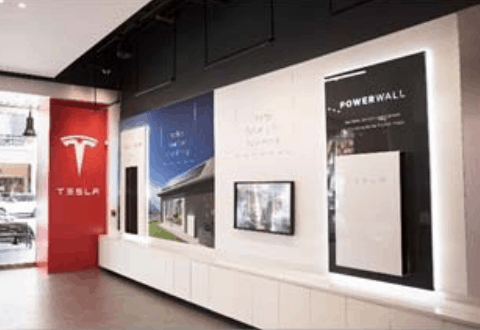 Home › Tesla Australia › Tesla Powerwall in 2018 – Availability in Australia. What can we expect from the Tesla Powerwall in 2018? Elon Musk’s company have released their Q4 report from last year, and it also has a lot of interesting information about the direction they’re planning on taking things in 2018. It looks like the days of the severely limited supply of the Powerwall may be coming to an end. This begs the question – with so many issues scaling up their energy storage how will this impact the Powerwall 3 release date announcement? After the unparalleled success of the Tesla battery in South Australia, it’s unsurprising to see that they’re going to have a strong focus on commercial solar storage. “Due to the success of this project, we’re seeing an increase in demand for Powerpack, our commercial energy storage product. With more electric utilities and governments around the world recognizing the reliability, environmental, and economic benefits of this product, it’s clear that there is a huge opportunity for us in large scale energy storage” their Q4 statement read. It’ll be interesting to see exactly what applications we’ll see the Powerpack being used in, both in Australia and worldwide. According to the report, initial production at the Gigafactory 2 started in Q4 and Tesla are “deliberately ramping production at a gradual pace”. When “fully scaled”, the Buffalo, NY based Gigafactory 2 will be able to produce enough solar cells to add more than 150,000 new residential solar installations every year.